NorthEdge is always looking for new ways to give back to our local communities across the North and the Midlands. We work closely with Manchester University’s Business School and have historically supported a number of charities including The Christie, Children in Need, the Princes Trust and Maggie’s etc. 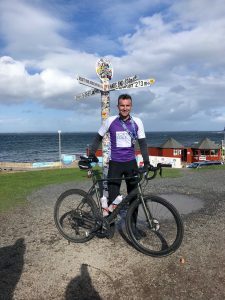 The team has turned its hand to a number of fundraising initiatives, from cricket, golf and football tournaments, to gruelling bike challenges and marathons. We also sponsor a number of local children’s sports teams to support their development in teamwork and healthy activities. Please do take a look at what we have been up to over the past few years. It is a sad fact that all of us are likely to be impacted by cancer either directly or indirectly during our lifetimes. Maggie’s provides centres to offer support to those affected by cancer and NorthEdge is supporting Maggie’s to help them continue to vital service. 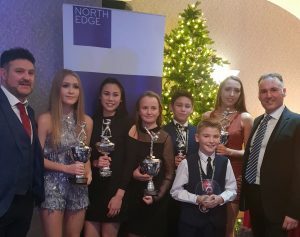 NorthEdge sponsored two categories at Musuko’s Christmas 2018 Awards Night. Some of the winners are shown with their trophies. Musuko now have four students representing their country as part of the English Karate Federation with two students competing in Denmark early next year. in a setting that promotes player development. At the same time the club has enjoyed success on the pitch and provided a pathway for players into the Professional Academy System. 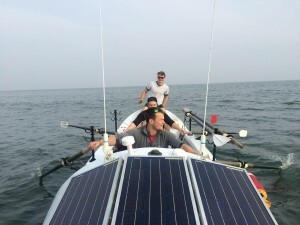 NorthEdge are supporting this incredible challenge where four British men plan to row their way into the record books by becoming the fastest four-man crew to row the Indian Ocean, while also conducting a research project that has the potential to redefine Parkinson’s disease and raise £200,000 for their chosen charities. Further updates on progress will follow in due course. NorthEdge was proud to support Dan Matkin on his cycle across Britain in 9 days in aid of the Christie Charity. 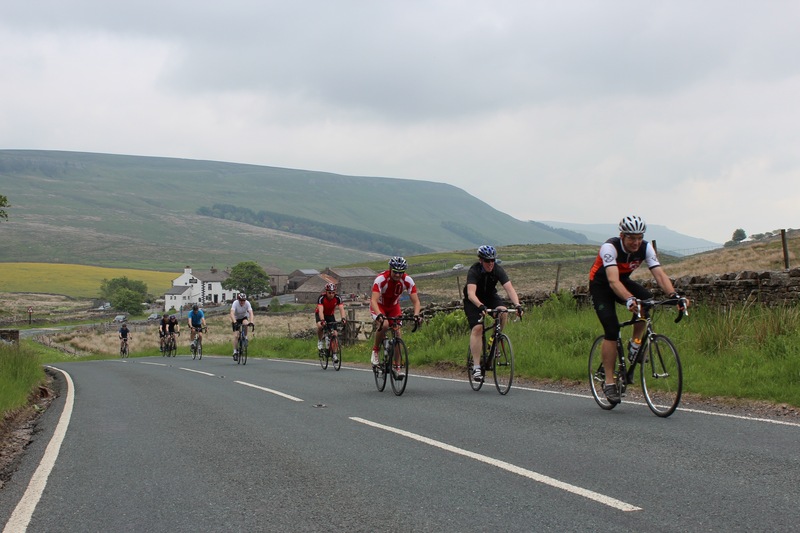 The Ride Across Britain is the UK’s biggest supported Land’s End to John O’Groats bike ride. It involves riding 969 miles from Cornwall to the tip of Scotland, through 23 counties and three countries, in nine days. In 2017 it raised more than £1.2million for good causes and, according to Virgin Money Giving, raises the highest fundraising per head in the UK for a mass participation event. Dan was able to raise over £5k in aid of the Christie Charity, which will support cancer centre treatment and research. 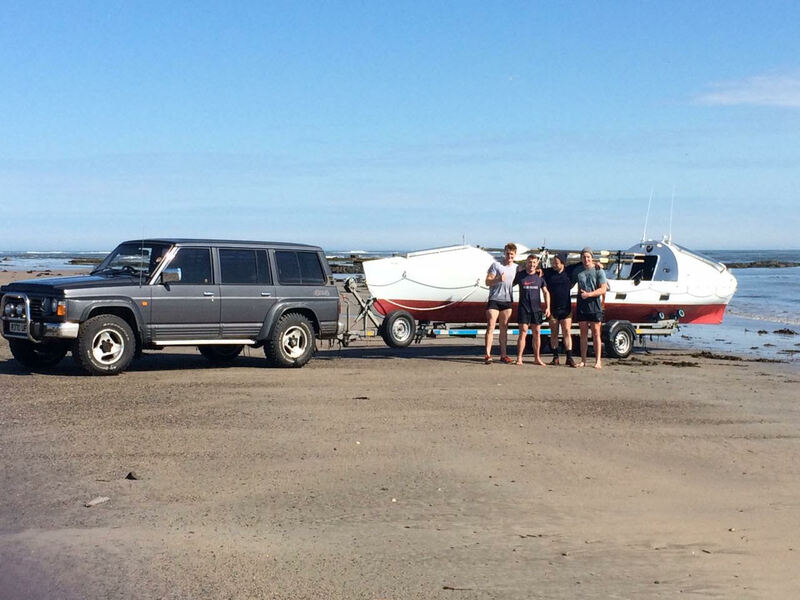 NorthEdge are supportinga group ofEx-Forces, Ex-Army Masters RFC, Ex-Mavericks RFC adventure team who are planning to take part in the 2019 Atlantic Challenge. The race is organised by Atlantic Campaigns and is currently sponsored by Talisker Whiskey. The team will be rowing as a four and currently have five team members willing to take on the challenge. They aim to raise sponsorship to compete in the challenge, once the challenge is completed they will sell all the equipment to raise further funds for their nominated charities. 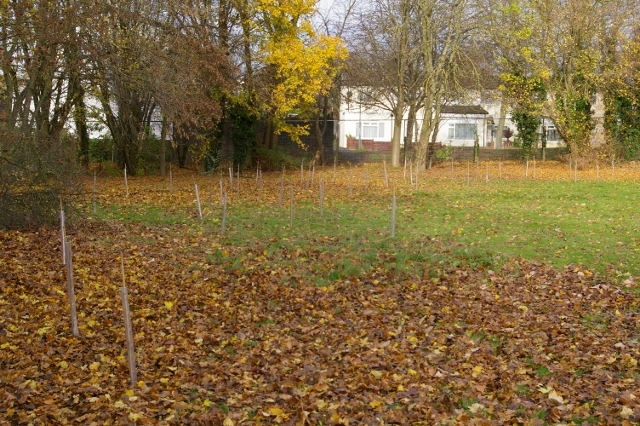 Further update on progress will follow in due course. 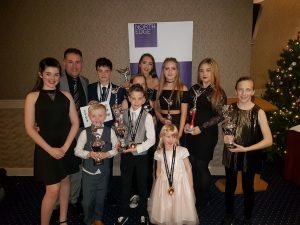 NorthEdge have sponsored Musuko Karate Academy’s elite squad for the third year running and this support has helped three of their students with selection by the English Karate Federation to the English national squad. We look forward to seeing international recognition for these super talented students as they compete at the very highest level for their country. Musuko have a number of students also attempting selection by the EKF later in the year and we will update on progress in due course. “We are incredibly lucky to have this support from NorthEdge and we are truly grateful. Our elite squad are also junior instructors at the club and are based all over the North West, so the skills they pick up from training and competing with the best in the country are passed to our other students within the club. Development of our students, whatever their age or level of ability, is massively important to the senior instructor team at Musuko.” Simon Crowther, Chief Instructor. 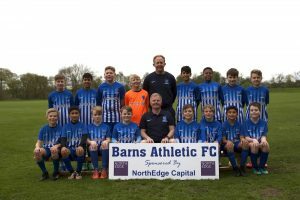 NorthEdge sponsored for the fifth consecutive year a locally based football team called Barns Athletic. These boys were out in all weathers playing matches on Saturday mornings and training on Monday evenings! It’s great to be able to support the boys and the coaches in such a strong and well managed football club. 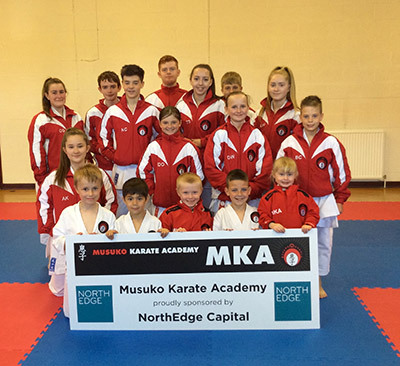 NorthEdge has sponsored the elite competition squad of Musuko Karate Academy who are a family friendly karate club based all over the North West. A number of Musuko’s squad members have already represented Great Britain at the Malta and London Open competitions where they returned with an impressive haul of Gold, Silver and Bronze medals across various karate categories. 2017 was a great year for its students who competed in both national and international tournaments. A total of 75 medals, trophies and awards across many karate categories were won in the year and this would not be possible without the support NorthEdge gives the squad. “The instructors, who give their time freely to develop our students and the students themselves, are extremely grateful to NorthEdge Capital for their kind support and sponsorship. Competing in Malta against karate-ka (students) from all over the world was a great experience and that has driven them to train even harder. The support from NorthEdge will assist us in getting access to more competitions both Nationally and Internationally which will give the students the experience needed to compete at the very highest levels – Simon Crowther, Chief Instructor”. We are incredibly thrilled that the NorthEdge team raised £29,123.51 for The Christie Charity, which will be matched by funding from Sir Norman Stoller. All of the proceeds will go towards our proton beam therapy research room fund, which means we can ensure that outcomes are significantly improved for our patients. I wanted to say a special thank you to the team for their marvellous support on the day. 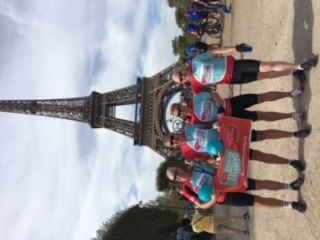 On Wednesday, 7th September 2016, Grant Berry, Andy Ball, Michael Joseph and John Rastrick channelled their inner MAMIL, mounting their aluminium framed steeds and setting off from London to cover some 300 miles over the next 4 days on their way to Paris. 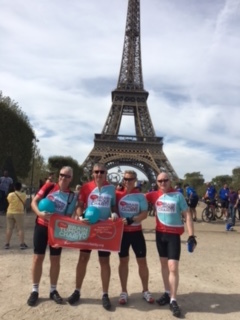 Thankfully, they all arrived safe and sound at the Eiffel Tower by late Saturday afternoon – exhausted but elated too!! 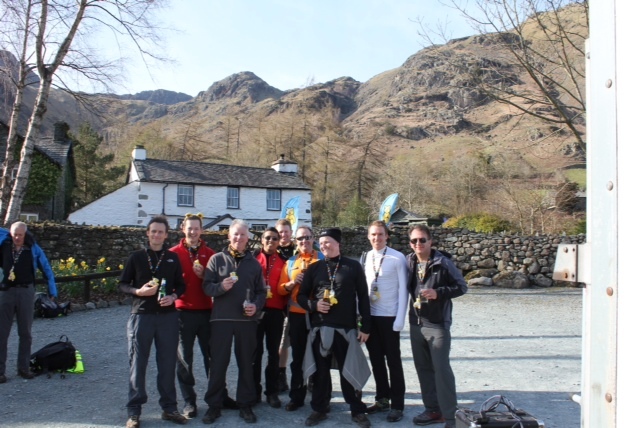 The reason for challenging ourselves was to raise funds for The Brain Tumour Charity. Brain tumours have recently impacted a couple of good friends of the company, and this has galvanised some of the older boys at NorthEdge to try and raise some money on behalf of a great cause. Brain tumours are a life limiting condition and there is so little known about the causes and treatments of them. They are the biggest cancer killer of children and adults under 40 and also reduce life expectancy by an average of 20 years, the highest of any cancer. Despite these facts, less than 2% of the £500m invested in cancer research in the UK every year is spent on brain tumours. This must change. The Brain Tumour Charity is at the forefront of the fight to defeat brain tumours, making a difference every day to the lives of people with a brain tumour and their families. They fund pioneering research to increase survival, raise awareness of the symptoms and effects of brain tumours and provide support for everyone affected to improve quality of life. The Charity is committed to defending the most amazing part of the human body so that the diagnosis of a brain tumour no longer means a death sentence. We at NorthEdge are extremely honoured to have taken part in this event, for such a worthy cause, and wish to thank everyone who made a donation helping raise some money towards The Brain Tumour Charity’s work. We know you get so many requests – and we have been overwhelmed by the response raising over £29,000! 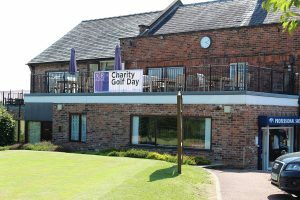 On Thursday 15 September 2016, NorthEdge, in association with Lawrence Barnett Associates hosted a golf day at Dunham Forest Golf & Country Club in Manchester for The Christie Charity and research into Proton Beam Therapy. The tournament consisted of 22 teams of 4 players over 18 holes. The over-subscribed event brings together competing teams from our Portfolio, local finance and professional communities. The golf was followed by dinner and an auction. The Christie is working with the Department of Health to bring the UK’s first high energy proton beam therapy service to Manchester, with the aim to treat their first patients in 2018. Proton beam therapy (PBT) is a specialist form of radiotherapy which can very precisely target certain cancers, increasing success rates and reducing side-effects. Its introduction to the UK will bring treatment closer to patients who currently have to travel abroad to receive it. 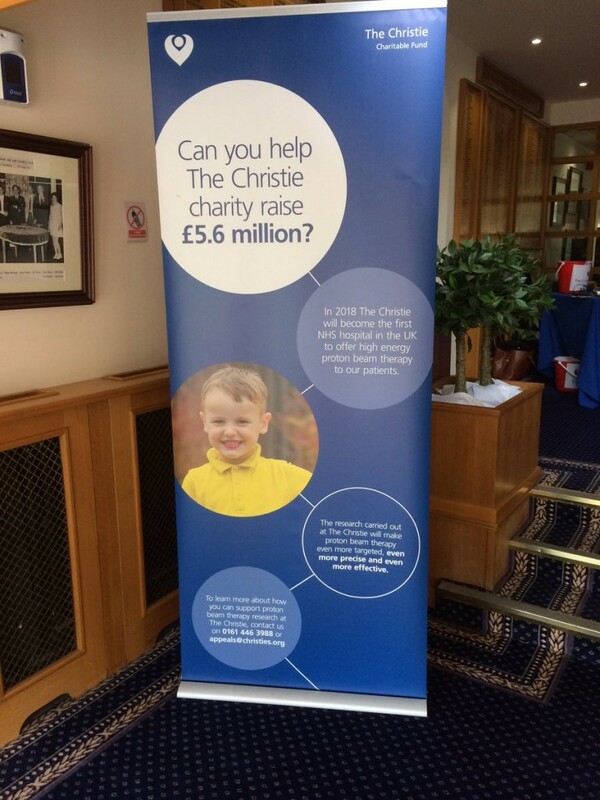 As a consequence, The Christie expects their intake of patients to increase significantly and are looking to raise £5.6m to develop a dedicated research space within the new PBT Centre, which we, along with your help, will be making a contribution. Our target was £50,000, and we are delighted to report that with matched funding from the Norman Stroller Foundation we managed to exceed this with the fantastic total of over £57,000! The Africa Trust works to bring sustainable solutions to poverty in Africa. This includes establishing sustainable supplies of clean productive water and decent sanitation. 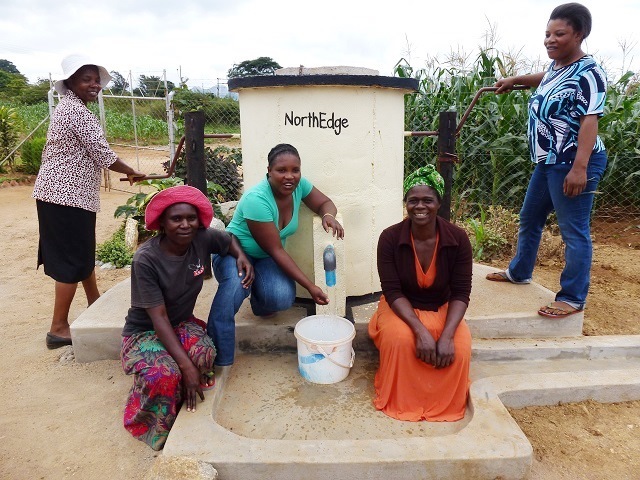 In 2016, in conjunction with AquaAid and The Africa Trust, NorthEdge is proud to say we have made the building of this Elephant Pump possible! NorthEdge supports The Africa Trust, through Aquaid. The Africa Trust is a charity that provides wells to villages and schools, where water is not so easily accessible. Currently The Africa Trust has provided drinking water to over 1,500,000 children. NorthEdge at this time, has provided over 200 children with accessible drinking water. NorthEdge was proud to support an ambitious challenge and worthwhile cause in the heart of the North of England. The challenge set by four young men, Andrew Mason, Fred Moore, Kyle Booysens and Wim Stevenson, was to circumnavigate Great Britain non-stop by rowing. Unassisted, the crew of four rowed 24 hours a day, two hours on/off, in pairs, in an attempt to break the World Record which stood at 26 days, nine hours – carrying all their food and equipment on board. More people have walked on the surface of the moon than have ever rowed non-stop around Great Britain. To date, only four boats have ever finished this epic voyage. On the other hand, there has been in the region of 500 successful crossings of the Atlantic, with many more attempts. 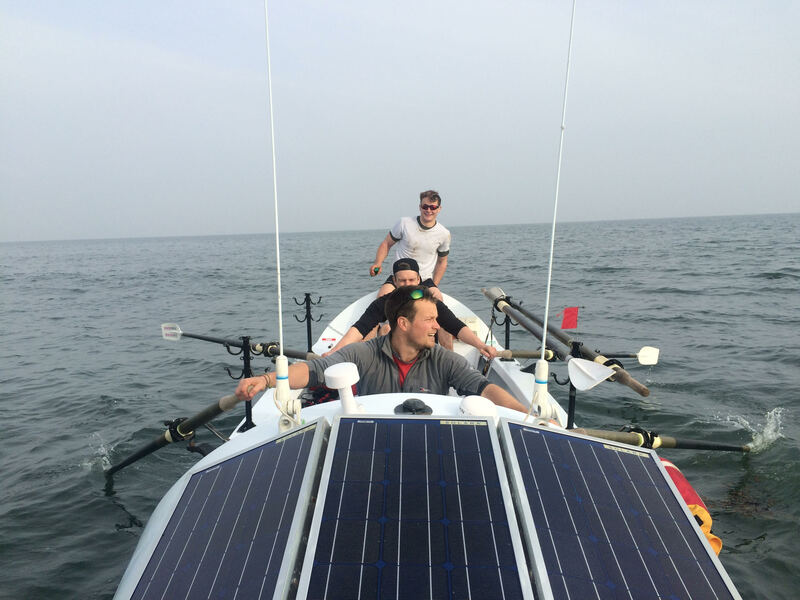 During the ~2000 nautical mile row, the crew will need to tackle some of the fastest turning tides on the planet, cross the world’s busiest shipping lanes and ferry crossings, avoid industrial fishing trawlers and navigate live firing ranges at Lydd, Wembury & Aberporth. The ambitious team set themselves a target of raising over £150k for charity with the funds raised going to the Natalie Kate Moss Trust – a trust set up in the name of Natalie Moss, a friend of the crew who sadly passed away at the age of 27 after suffering a sudden brain haemorrhage. The Trust funds both pioneering research into the inflammatory response to stroke and subarachnoid haemorrhage, led by Professor Pippa Tyrell, and also provides scholarships for students who have suffered a stroke or other forms of brain injury to attend the University of Manchester. The challenge began on June 1st 2016 from Tower Bridge London and ended in the same location. NorthEdge has provided over 200 children with accessible drinking water. 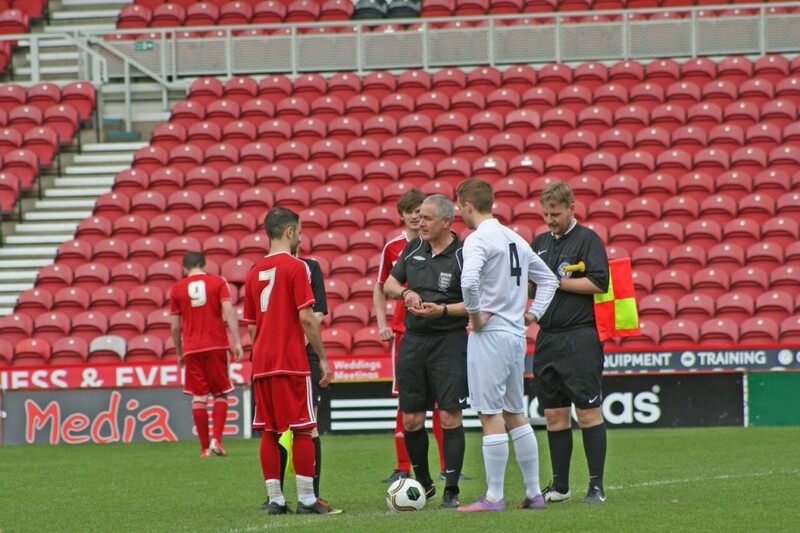 On the 24th of June, Peter Kenyon’s Ramsdens team took on a combination of NorthEdge, PricewaterhouseCoopers, Fine Industries and Ernst & Young in a charitable football match, held at the Riverside Stadium – home of Middlesbrough FC. A hotly contested game saw NorthEdge run out as narrow winners. More importantly, and through the generous support of all those who participated, over £3,000 was raised for Maggie’s through the event. Maggie’s Centres provide practical, emotional and social support to people with cancer, their families and friends. 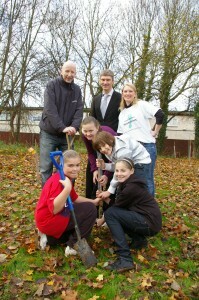 We hope our contribution with help them continue this great work, and look forward to Round II with Ramsdens in 2016! “I completed the Fred Whitton Bike Challenge on Sunday 10th May. To be fair, only just, given it was nearly Monday 11th May by the time I got done. 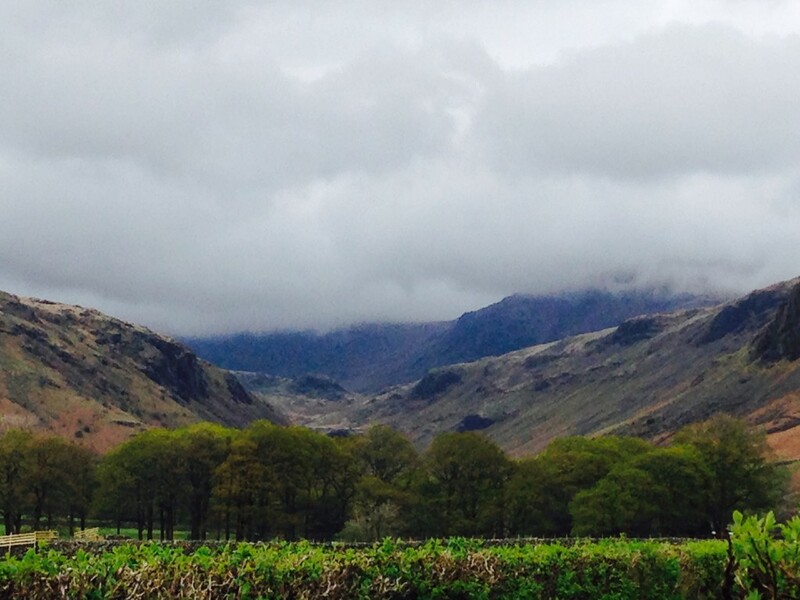 It is 112 miles through the Lake District, but it is the 4km up that is the killer. Cold, rain and wind added to the countryside charms – pedalling to go downhill in the shadow of Sellafield and in the teeth of a gale, 80 miles in and 4 hours to go, a moment of inner zen, or maybe delirium brought on by an overdose of energy gels, spurred me on my way up the aptly named ‘Fang’s Brow’. The Fred represents all the things I’m not good at: forward planning; staying the course; focusing on one thing; trying to put on a coat whilst riding a bike and unwrapping a Mars Bar. Whack. But having come 1872nd out of 1955 finishers, I can hardly claim it as a triumph. Abandoned by my fellow travellers, I should nevertheless have stopped to help the gentleman weeping through exhaustion on the roadside, halfway up Hardknott Pass. But I was frankly too tired to get off. Sorry if you didn’t make it, pal. I have only ever cycled 112 miles before on a calendar year basis. Frankly, my cumulative training programme wasn’t half 112 miles. I am not a keen cyclist, certainly not anymore, but as you can see I am a very slow one. I am so slow that it has taken me over two weeks to recover (notwithstanding compression pants, a genuinely new and exciting hobby for me) and over two months to be able to post this note. I am very grateful to all those who donated over £2000 to MacMillan and Nepali Schools foundation. NorthEdge sponsored for the fourth consecutive year a locally based football team called Barns Athletic. 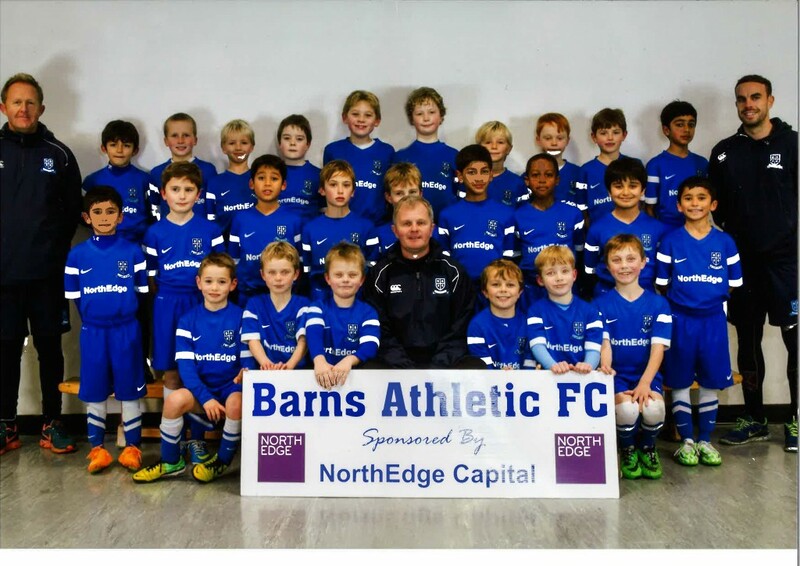 These boys were out in all weathers playing matches on Saturday mornings and training on Monday evenings! It’s great to be able to support the boys and the coaches in such a strong and well managed football club. 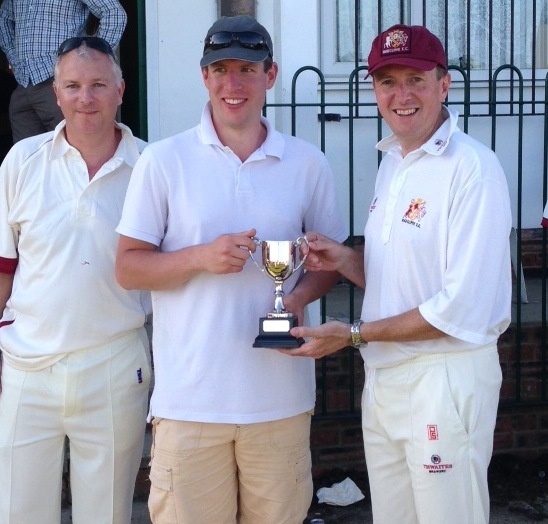 On 12 June 2014 Ashley Cricket Club, based in Ashley Village near Hale, Cheshire, teamed up with NorthEdge Capital to hold a six a side charity cricket tournament with all proceeds going to Children in Need. Along with NorthEdge, Montagu Private Equity, Clearwater Corporate Finance, PwC, KMPG and DWF battled it out on the cricket field in what turned out to be a glorious summers day. Despite some excellent play from all teams (especially the ladies) there was no overall winner, with KPMG and PwC drawing in the final match. A fantastic day was had by all and the event raised a whopping sum of £28,383.41. It’s that time of year again when we review all things 2014. Our Annual Review, which contains full details of all our activities for the year, can be found on the Who We Are page of the website. 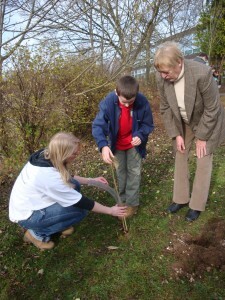 During 2014 we planted 46 trees in and around the North West. This verified carbon reduction project offsets our 2014 C02 emissions, thereby helping to prevent climate change and create space for wildlife. May I take this opportunity to say a heartfelt thank you for taking the time to sponsor us in the Nine Lakes event over the weekend. We really appreciate your support with our fundraising efforts and I am delighted to inform you that with your help the team from NorthEdge, Deloitte, Ernst and Young, plus Mark Senior from Media City, have raised over £10,000 (NorthEdge personally raising £5,633) and the entire event raised a staggering £100,000. 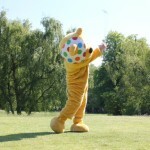 We are truly thrilled that we were able to raise such a fantastic amount for Children in Need. Everyone thoroughly enjoyed themselves, aided by some glorious weather – although the challenge was probably much tougher than we expected! 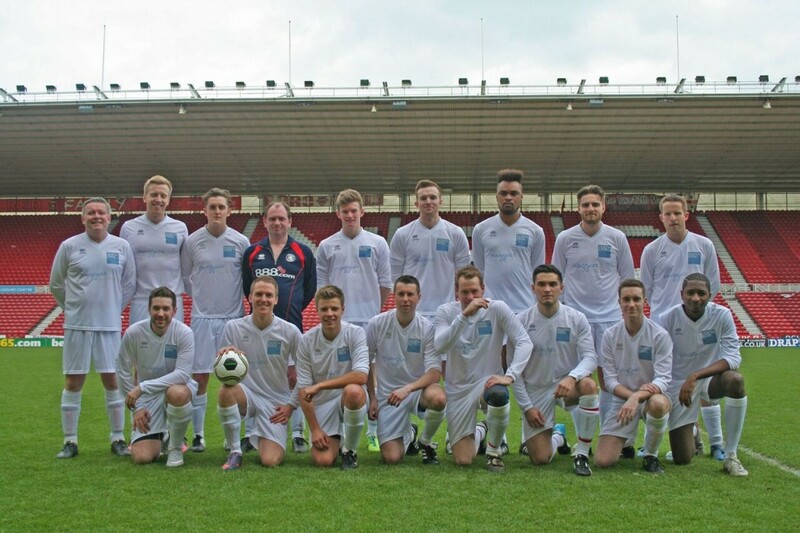 Photo of the full team attached at the finishing line – we actually finished ahead of the field too! 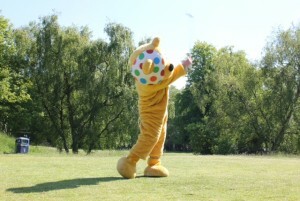 On 6 June 2013, NorthEdge hosted a golf day at Dunham Golf Club in Manchester for Children in Need. 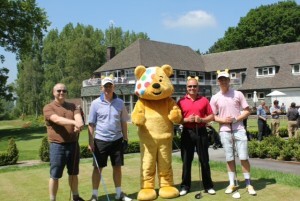 The tournament consisted of 24 teams of 4 players over 18 holes, with special guest appearances from Charlie Stayt of BBC Breakfast and even Pudsey himself! Following the golf tournament we hosted a dinner and auction and throughout the course of the day sold raffle tickets. Both the auction and raffle prizes were of a very high calibre and much sought after and attracted some fantastic bids. 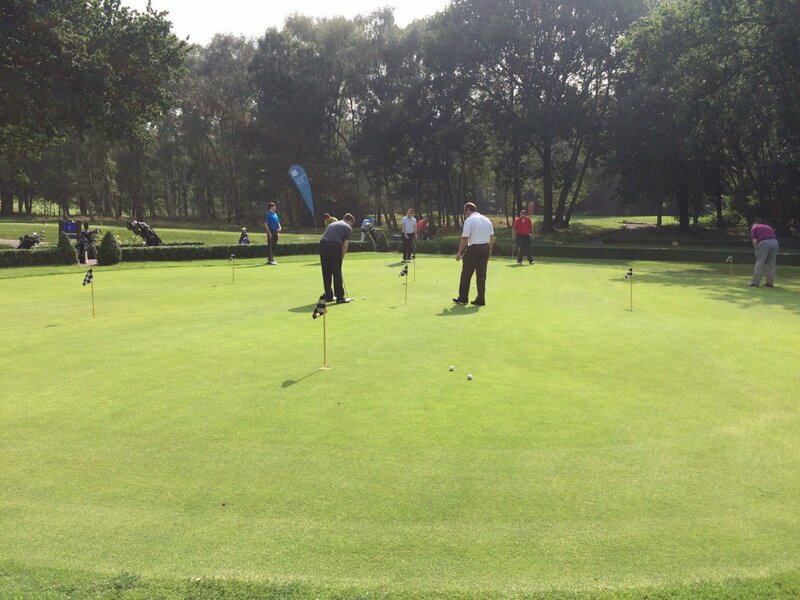 Everyone thoroughly enjoyed themselves, aided by some glorious weather, and with the help and amazing generosity of the golf players NorthEdge raised an amazing £39,512.74! Children in Need have agreed to match this amount taking the total to a staggering £79,025.48 to be spent on projects specifically in the North. May we take this opportunity to say a huge thank you for taking the time to sponsor us in the Etape du Dales bike challenge. Everyone thoroughly enjoyed the challenge with every rider completing the course. With the help of Deloitte, PPCF, Rothschild and Waker Morris we raised the fantastic amount of £3,390 for the second of our chosen charities, Maggie’s. Maggie’s is hugely appreciative. The money will assist Maggie’s in realising their aim to open new centres in both Leeds and Manchester over the next few years. The ride itself was spectacular and reminded us all of why the North is such a special place. 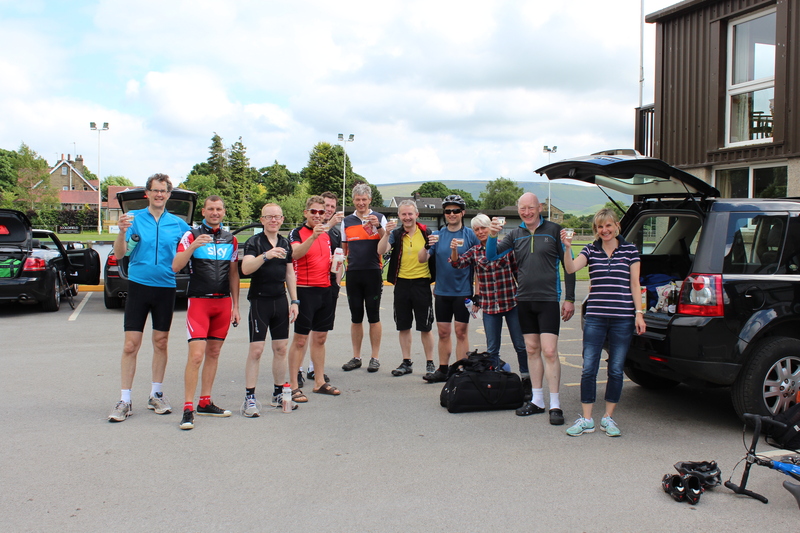 Of particular note were the ride out of Grassington to the head of Wharfedale, Swaledale in general and having Penyghent as a wonderful backdrop in the latter stages of the ride. It also reminded us that we live in a very hilly part of the country! Once again thank you for your support and generous donations. We want to say a big thank you to all the carbon footprint volunteers who planted 30 trees in the North West in order to offset our 2012/13 emissions! Good work guys!